From these inspiring alliances and devastating losses would grow the strength of character that was to lead to Barack Obama becoming one of the forty-two (George Washington was the exception) chief executives who have occupied the most famous residence in the world. Obama was born in Hawaii on August 4th, 1961, to Stanley Ann Dunham and Barack Obama Sr. His parents separated and his mother remarried, and Obama and his mother went to Indonesia in 1967 when his step-father, Lolo Soetoro, was called bay to the country following a change in power. Obama remained there until age 10, when he returned to Hawaii to live with his grandparents. He attended Columbia University, where he graduated with a bachelor’s degree in political science. After working in New York and Chicago he enrolled in Harvard Law School in 1988, where he became editor and then president of the Harvard Law Review – the first African American to hold the title. After two years as a Visiting Law and Government fellow at the University of Chicago Law School, he served as a professor and a senior lecturer, and worked as a civil attorney until 1996, when he ran for and was elected to the Illinois Senate, where he served until 2004, when he was elected to the U.S. Senate. Obama announced his candidacy for president on Fabruary 10, 2007, and made history when he was elected to office on November 4th, 2008. In October 2009, Obama was awarded the Nobel Peace Prize for “his extraordinary efforts to strengthen international diplomacy and cooperation between peoples.” Since entering office in 2009, the president has faced great challenges in trying to re-build the economy and working with a highly partisan Senate. 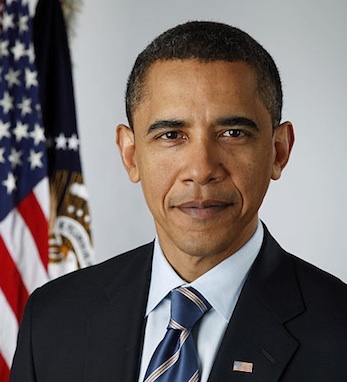 His most significant accomplishments have included the Patient Protection and Affordable Care Act and the Health Care and Education Reconciliation Act, the Don’t Ask, Don’t Tell Repeal Act, and the death of Al Qaeda leader Osama bin Laden.